A nearly 20-strong team will trek through some of India's remotest terrain to reach a single voter and collect her ballot in the country's mammoth elections, an official said Monday. The huge undertaking through jungles and over hills involving polling officials, porters and police underscores the logistical challenges confronting India as it prepares to hold the world's largest election. One is Sokela Tayang, 39, the sole registered voter in Malogam -- a tiny hamlet in the isolated and contested northeastern state of Arunachal Pradesh along the border with China. Dagbom Riba, a local election officer, told AFP a team 15 to 18 strong would have to proceed on foot for six kilometres (3.7 miles) carrying a ballot box and other voting material through tough terrain to reach Malogam. Once in the village in Anjaw district, rules dictate they must keep the voting booth open all day -- even though just Tayang will be exercising her franchise. "Even if she casts her vote in the morning, we have to remain open until 5pm in keeping with the election commission guidelines," Riba said. "We are committed to reach out to every single voter so no challenge is big for us." The Press Trust of India news agency reported that the tiny outpost had two voters in 2014, the other being Tayang's husband. But he had enrolled in another electorate this time around, leaving just Tayang on the registry, PTI said. Arunachal Pradesh has several polling stations with just a handful of voters. 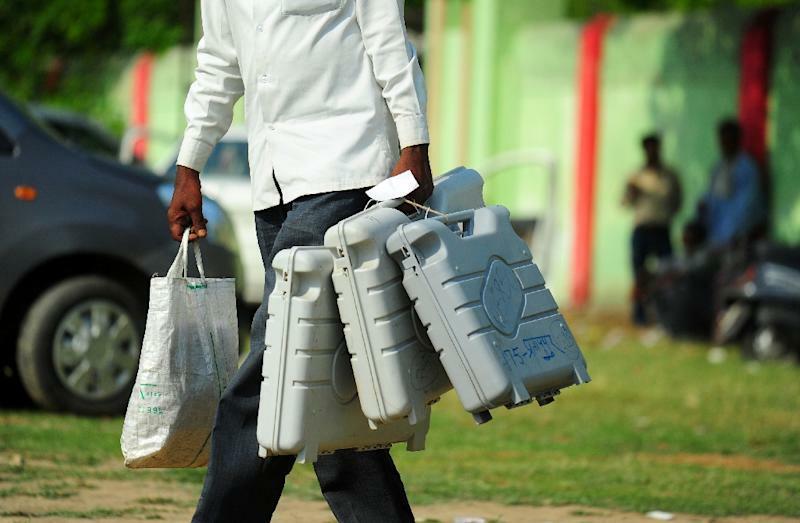 Eight voting booths will have fewer than 10 people turn up, the election commission says. It is one of many remote areas where election officials will have to cart in electronic voting machines to collect ballots during voting between April 11 and May 29. In past elections, these units have been strapped to camels in Rajasthan and taken to desert tribes. In the north, yaks and mules have been recruited and elephants in India's tropical south. Election rules stipulate that no voter should have to travel more than two kilometres to cast their ballot.